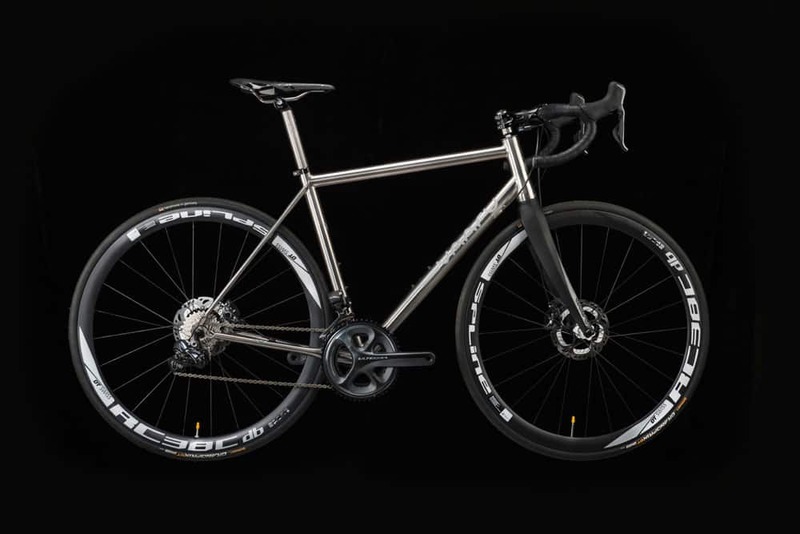 The VAARU V:8 titanium road bike is an ideal sportive road racing bike for lovers of technology. The V8 has been designed without compromise, it takes the best of road bike technology and utilises it in this disc brake, Shimano Di2 specific road bike. 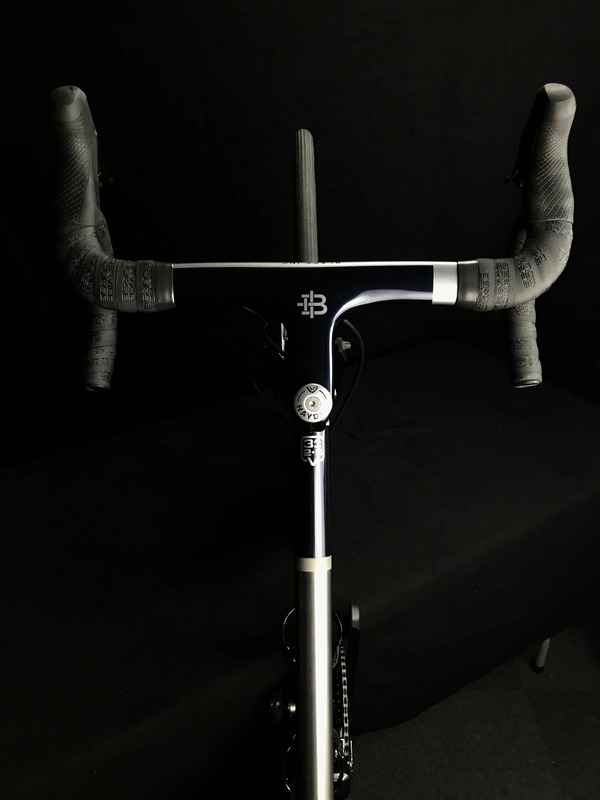 The V:8 is available to buy online as Frame Only (includes frame, headset and seat clamp) or Frameset (includes frame, headset, seat clamp and F:160 forks). 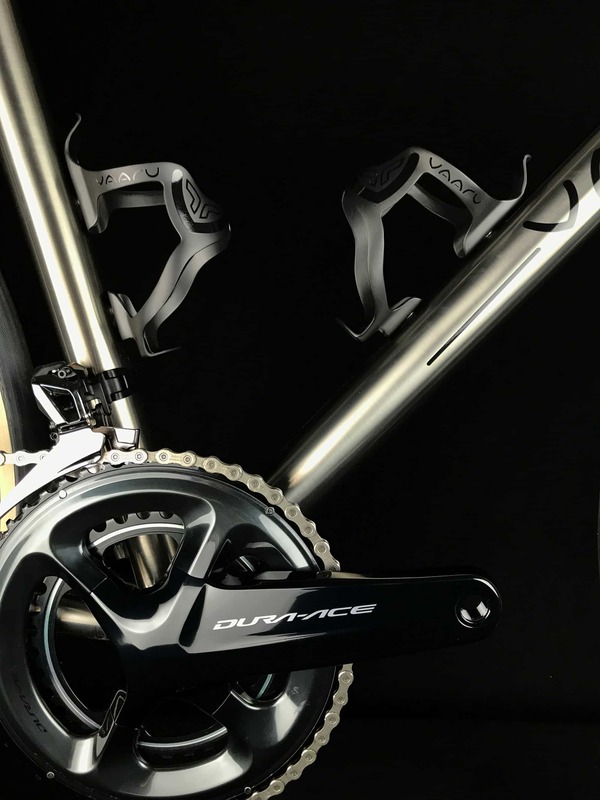 For clients who would prefer for us to build their bike we like to offer an appointment service where we can discuss your style of riding, fit you to our bike and help you choose from a wide range of components and finishes. Please contact us if you would like to find out more about our fully built service. A V8 to suit a true classic car enthusiast. 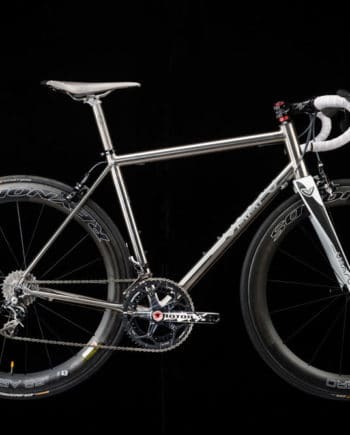 This V8 bespoke titanium bike build was designed for a customer in U.S.A to complement his classic car. 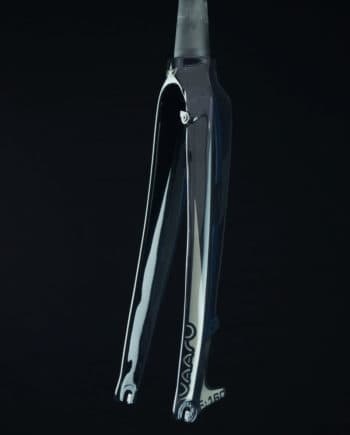 This titanium looks absolutely stunning part painted in Moonlight Blue and accented with silver. 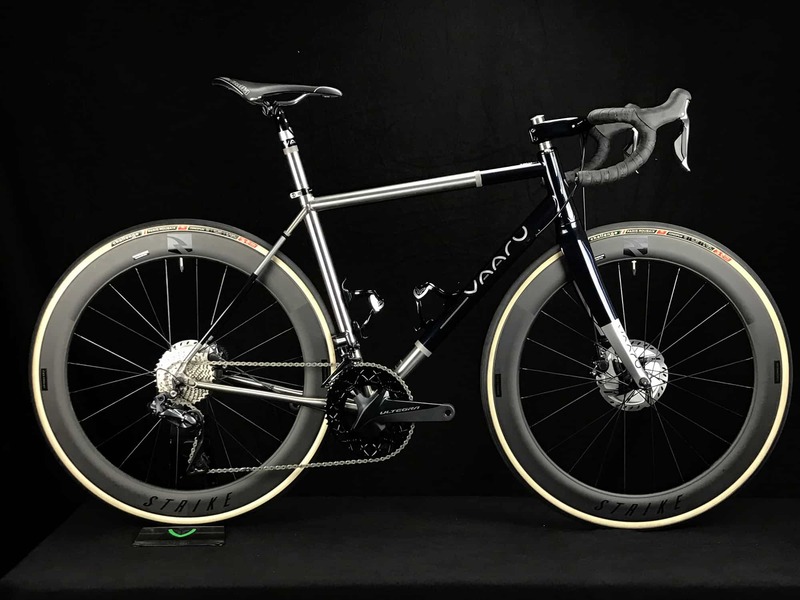 The V:8 has the best titanium frame building features; formed double butted tubing, curved seatstay bridge, tapered head tube, replaceable mech hanger, internal electronic and hydraulic cable routing and to finish it off, CNC’d logos on the head tube and dropouts. English threaded bottom bracket with room for electronic cables to pass internally. Wheels are an important choice when buying a disc road bike. The benefit of a carbon fibre rim comes into its own when owning this bike. 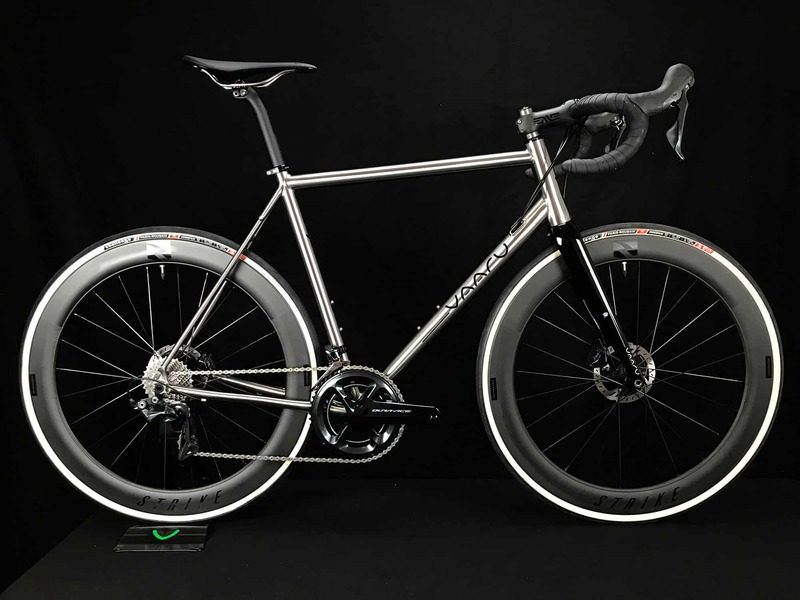 Take advantage of using wheels designed specifically for disc road bikes. Rims can become lighter due to not having to reinforce the braking surface due to heat build up from rim braking. Weight saved from the rim is counteracted by a few extra spokes to withstand the disc braking forces, a few extra spokes means a stiffer wheel, increasing performance. Each of our Vaaru frames is available as a frame only, frameset, rolling chasis or as a completely bespoke full build. 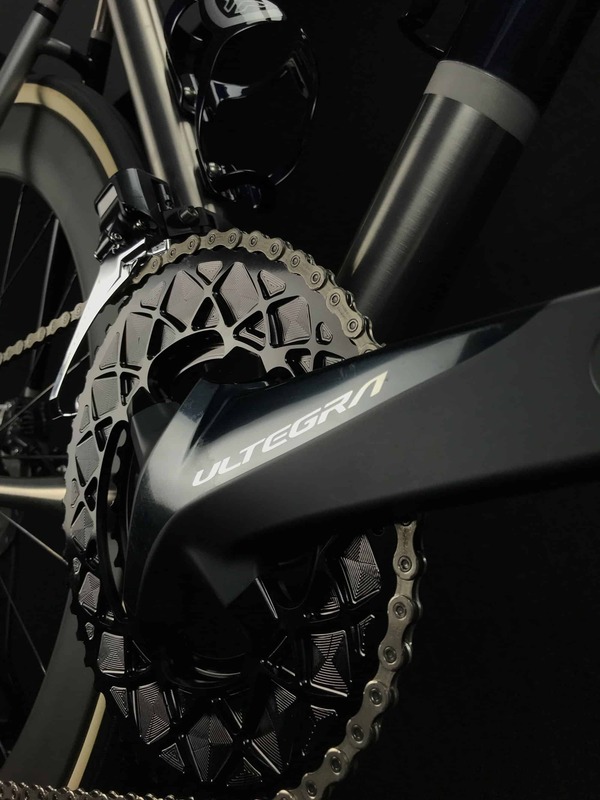 Specify the components that you would like or let us recommend what we think will suit your style of riding the best. We are careful to choose components that we think excel and have been engineered to last. Just awesome! I’ve ridden and owned a lot of bikes and this stands out as one of the best. 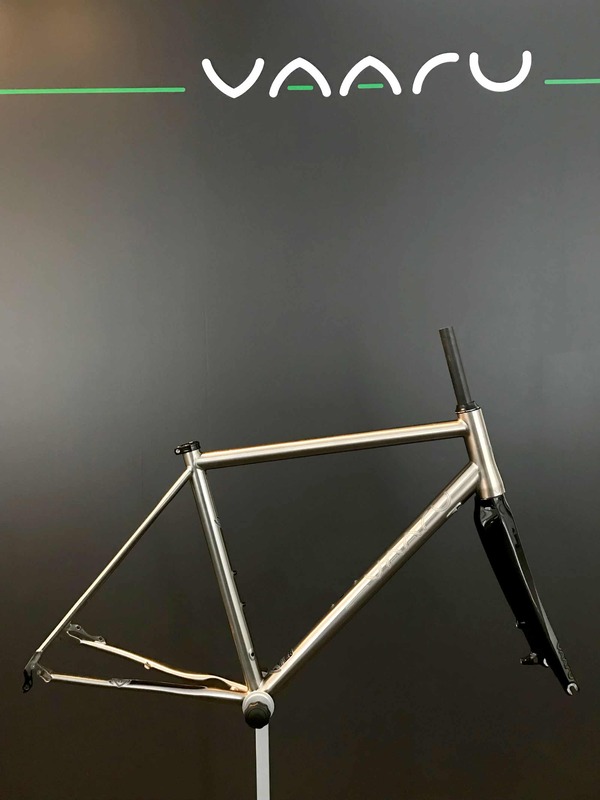 The frame has the subtle compliance of titanium but retains a feeling of urgency and excitement. 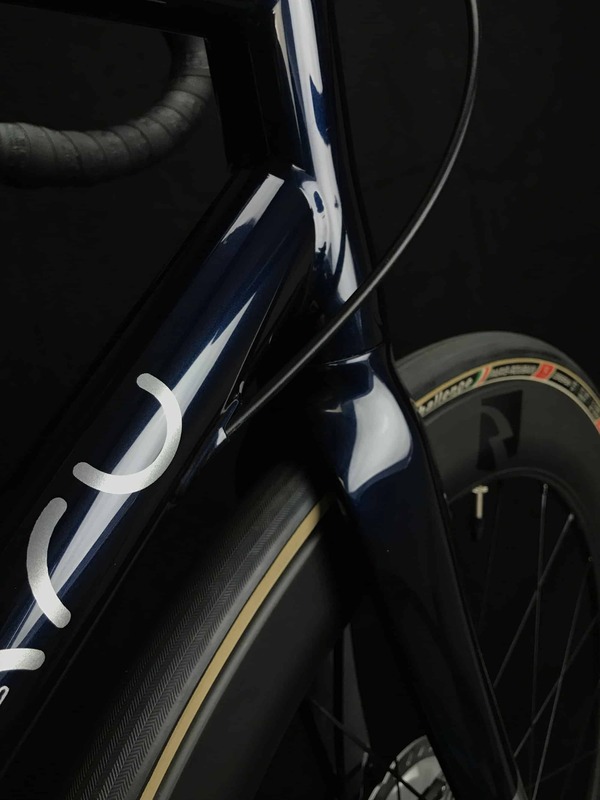 A fast, comfortable bike that has lovely detail not to mention the customisation that make them really special. Time to save the pennies for a mountain bike upgrade now. I love this bike. I’m running a 55cm frame with Ultegra Di2 and Reynolds Attack wheels. For a sportive frame, the geometry is actually pretty aggressive – really similar to my Colnago M10 I use for racing. On my regular training loop it performs really well – fast and responsive, yet comfortable too. 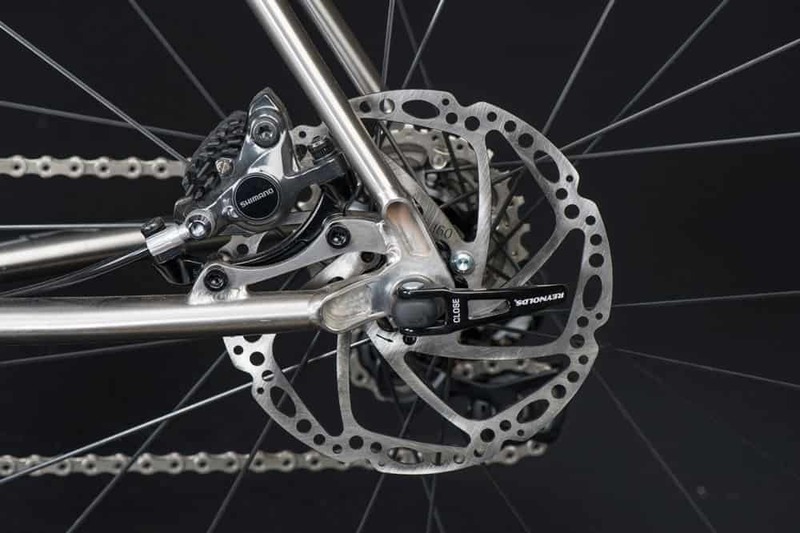 As for disc brakes, if you haven’t already made the leap, just do it. Predictable braking in all conditions and no more black gunk all over your rims, tyres and frame. Oh but be warned, because of its gorgeous looks, people will try to touch it. Small price to pay.